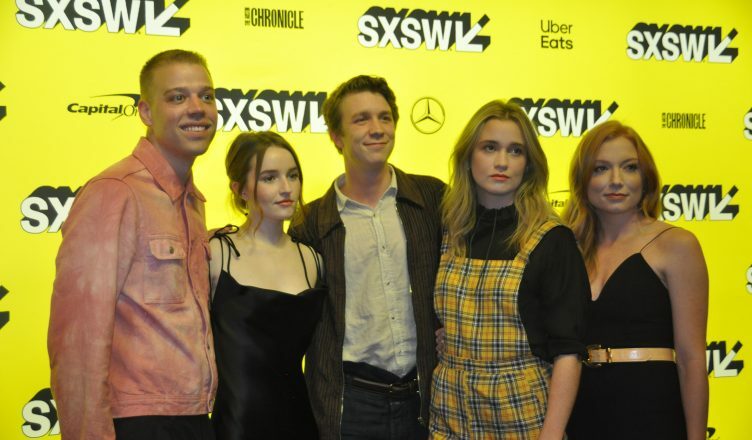 Thomas Mann (Augie) and Alice Englert (Mara) in “Them That Follow” at SXSW. (Photo by Connie Wilson). Walton Goggins’ preacher, Lemuel, is “in” to snake handling and his teenaged daughter is an ardent follower of his church. 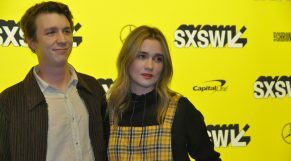 However, she has fallen in love with Augie (Thomas Mann), son of Olivia Colman’s storekeeper and ardent church-going woman of the Pentecostal faith. Olivia’s husband is played by Jim Gaffigan as Zeke, and it is certainly true that Gaffigan must be one of the most ubiquitous actors working, as he also turned up in “The Day Shall Come” at this year’s festival and at “You Can’t Choose Your Family” at last year’s SXSW. I have to admit that I hadn’t really ever thought of Olivia Colman and Jim Gaffigan as man and wife, but both give it their all. Mara’s proposed marrying off to Garret (Lewis Pullman), despite her unprofessed love for the unbeliever Augie is what sets the plot in motion and, as you can imagine, there are many scenes of snake handling and tests of faith when her father learns that Mara is pregnant and, relying on the Bible (“Woman—Eve—is the first sinner and she must be cleansed!”) subjects Mara to a test of faith and a cleansing by way of the poisonous rattlesnakes the Congregation uses in its worship services. 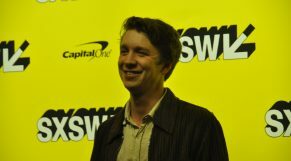 Thomas Mann (Augie) in “Them That Follow.” (Photo by Connie Wilson). A: It’s a miracle. Such a gift. We leaned on them so much. We were so lucky to have this experience with them. The friendships forged in the woods were so incredible. That is why I think the families feel so real.